It's beginning to look a lot like Christmas on my work table ... and I love it. Admiring all the cheery, merry, colorful fabrics is doing wonders for getting me into the holiday spirit. This woven cotton holiday plaid is just terrific. It's an easy match for so much, as it has quite a few shades of red in it, as well as a few lovely greens. The tie would, of course, also work after the holidays, as plaid is stylish throughout the year. Four additional new Christmas/winter/holiday ties featuring snowmen, sailboats, gingerbread men, and snowflakes will be in the shop by Monday night, to round out the this years holiday collection. 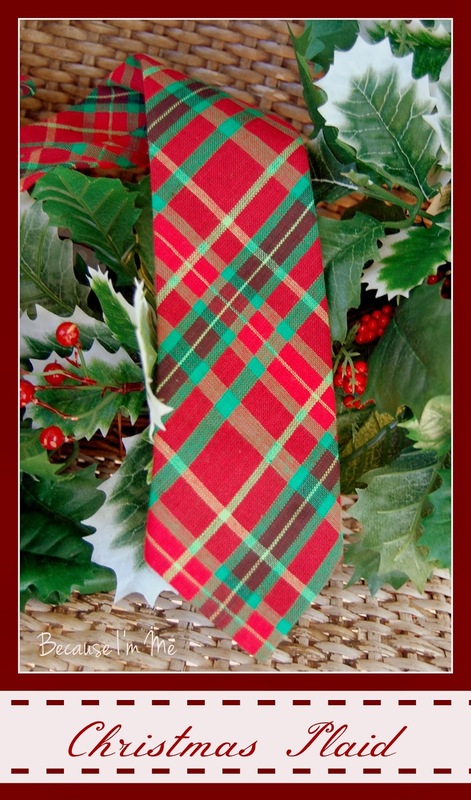 Christmas Plaid bow and neck ties can be found here.